I meant to post this yesterday, but my day did not go as planned. It’s allergy season, and I ran out of my allergy medicine, and decided to try the kind My Cowboy takes. If a medication says on the package “may cause drowsiness”, it in fact really means “will turn Shelly into a vegetable”. So for an inordinately large portion of my day, I sat on the couch, unable to move my appendages. I may have even drooled a little. 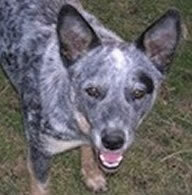 But it’s worn off now, and today I’m back to my normal flittery self. I even got some sewing done! 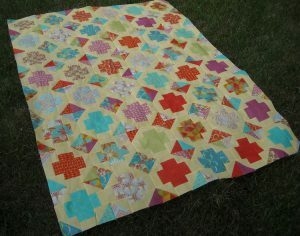 If you’ve been reading along, you saw my newest pattern last Friday here on the blog, Greek Cross. My cover sample was made up in a fairly traditional colorway, and I love it. 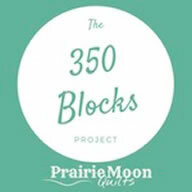 But I also wanted to see it made up in a different colorway as well, just for kicks. So I used pieces from the Frippery line by Thomas Knauer for Andover Fabrics, along with a basic background from Timeless Treasures, and here’s what I came up with. Fun, huh? I love it this way, too. I made this one in the throw size. 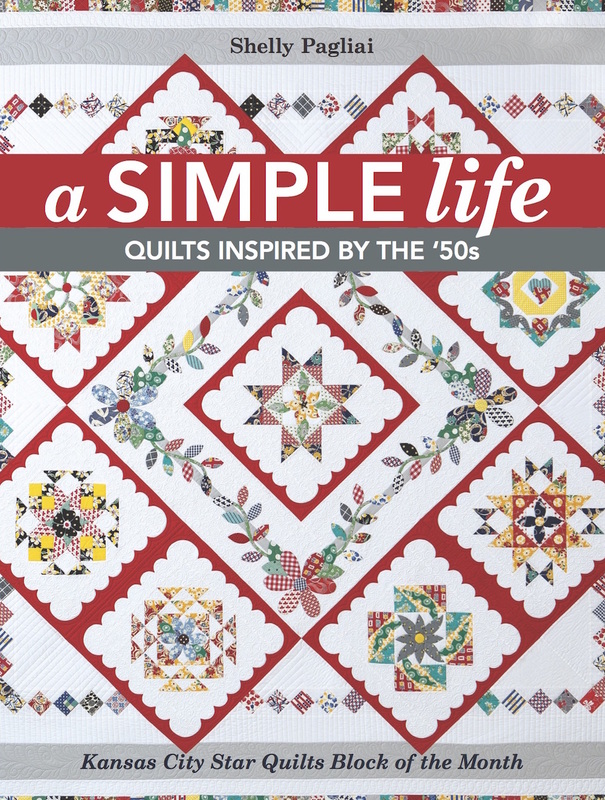 The pattern teaches lessons on various methods for doing half-square triangles, and also includes options to make the quilt in four different sizes: throw, twin, queen, and king. And naturally, so those of you who have come to expect it are not disappointed, the gratuitous Helper Cat photo. 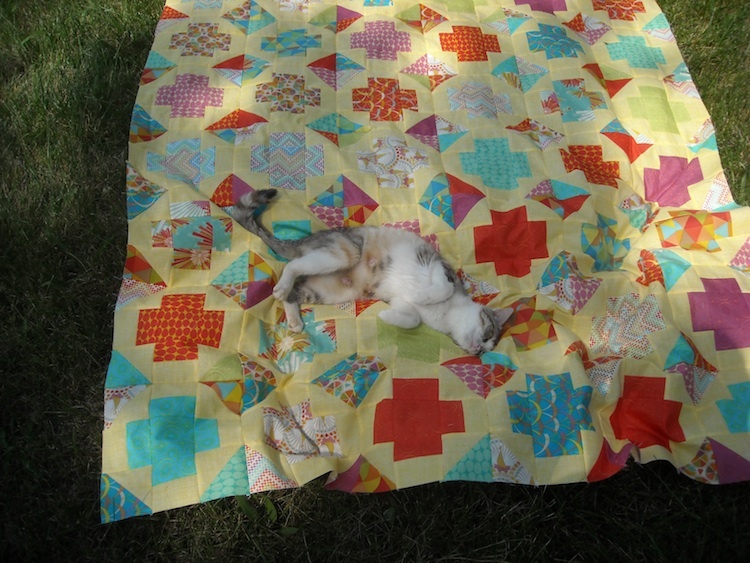 Today’s model is Felina, who seems to know exactly what a quilt is for! 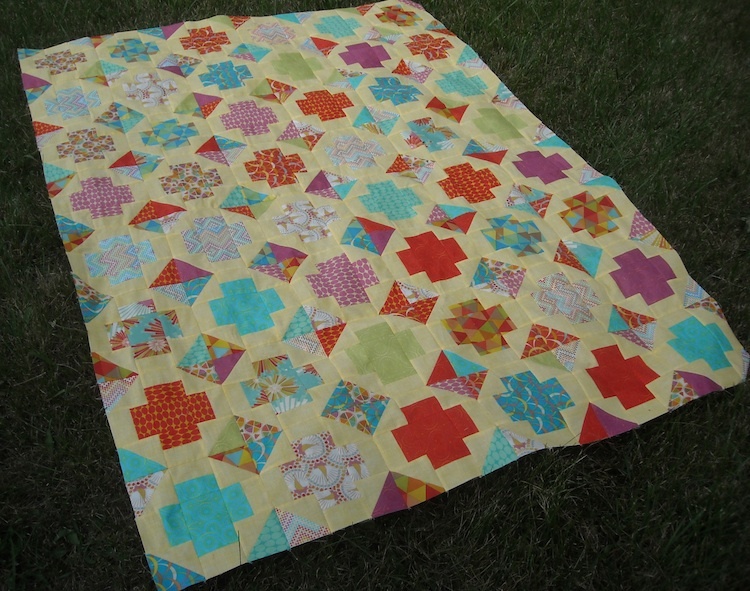 Now I just need to get it quilted. Congratulations! I’ll get them right out to you. 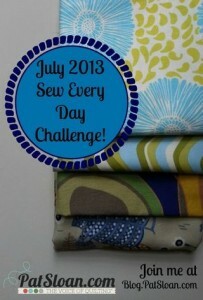 On Monday, Pat Sloan issued a challenge to Sew Every Day in July. I’m taking her up on this challenge. 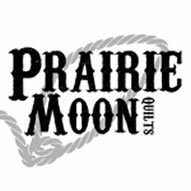 Like Pat, quilting is my work, and I spend a lot of time sewing and quilting for other people every day, which means that a lot of the time, my own stuff slips to the back burner. So . 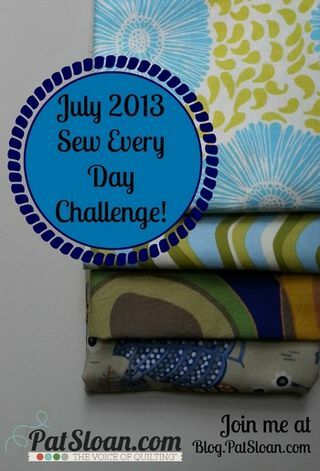 . . I’m taking this challenge to sew every day on something of my own — so far I’ve been managing to do it, even in spite of the allergy medicine. 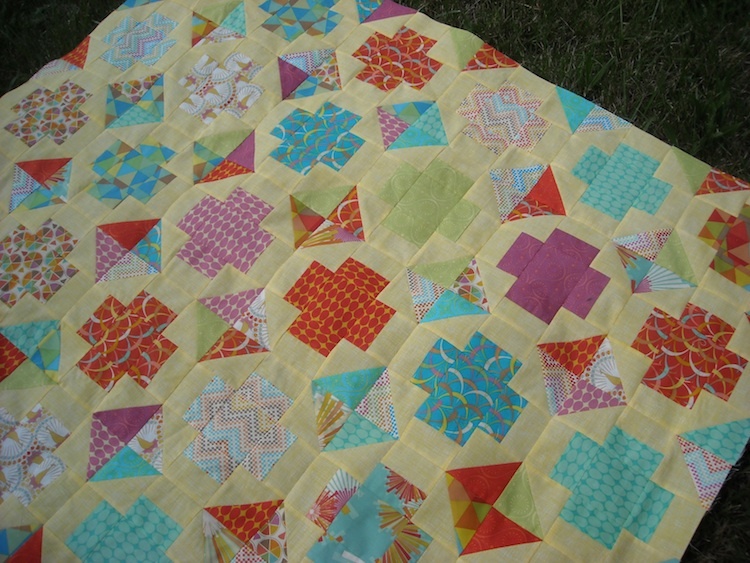 They are both sew different, I like them both! Our family doctor suggested the generic to Zyrtec. It does seem to work. Not only for seasonal allergies, but also Mark’s cat allergies. The downside is even though it is generic, it is still kind of pricey. I can’t decide which is better – pastel or dark…………oh no! decisions. Now, Shelly, you know I do sew every day:) unless, like now, when I’m in D.C. Visiting my daughter! ( Didn’t pack the Bernina along this time !) you can do it too!!!! I love this new pattern, Shelly. And this colorway is terrific. Hope you’re doing swell! Getting ready to go teach in a couple of weeks? Trying…..but lots of company in the summer keeps me from quilting….